Ikador Luxury Boutique Hotel and Spa is a hotel that hasn’t opened yet, but is already a member of one of the biggest luxury hotel associations – The Leading Hotels of The World, and that says a lot. An investment of 80-million kuna, the Ikador will be one of the most luxurious hotels in Croatia, opening in a small fishing town of Ika near Opatija. 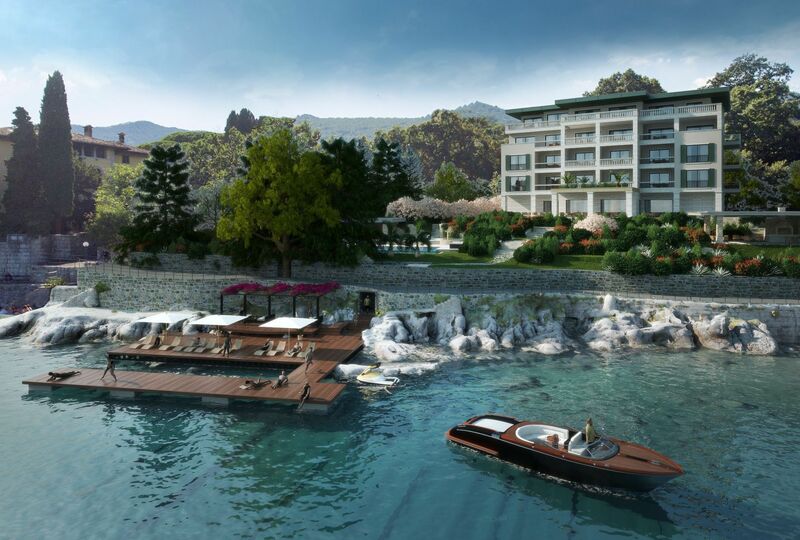 Envisioned by the internationally acclaimed Artelior architecture studio, the boutique-hotel will be situated by Opatija’s Lungomare, one of the most famous promenades on the Adriatic, under which a tunnel will run, connecting the hotel to a private mooring for boats. The boutique hotel will feature 8 luxury rooms and 6 exclusive suites, with the smallest room having 50sqm and a terrace, while the most luxurious, presidential suite spans across 280sqm and has a 145sqm terrace. One of its aces is also the Riva Lounge, the first of its kind in Croatia and the fourth in the world, next to the ones in Monte Carlo, Venice, and Mykonos, truly making it the most exclusive hotel in Croatia. Ikador will, of course, have a fitness and spa centre, taking up the entire third floor, from which impressive views stretch over the Opatija riviera. The luxury experience wouldn’t be complete without a top-notch restaurant, cigar lounge and a heated outdoor pool with sea water.